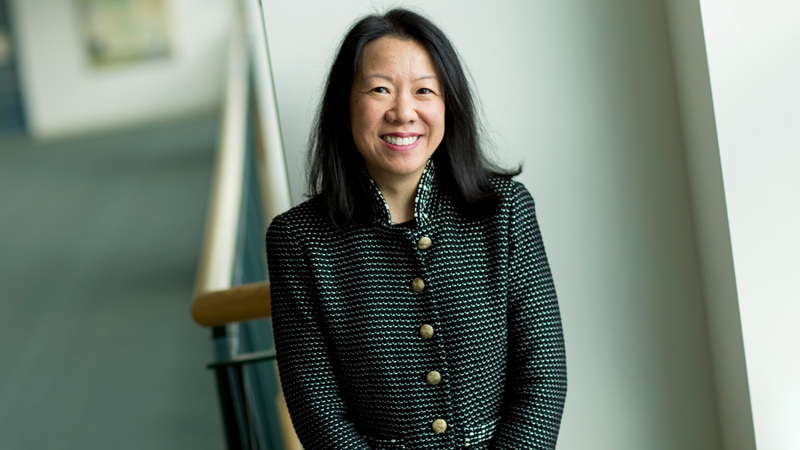 Sandra L. Wong, MD, MS, the William N. and Bessie Allyn Professor in Surgery at Dartmouth’s Geisel School of Medicine, has been named president-elect of the Society of University Surgeons (SUS). Founded in 1938, the mission of the SUS is to support and advance leaders in academic surgery through membership, scholarship, and professional development. Today, SUS is dedicated to advancing the surgical sciences—by the research and clinical breakthroughs, education and training investments, and public policy leadership efforts made by its members. Wong, who is currently completing a three-year term as treasurer of the organization, will serve as president-elect for one year, before assuming her term as president from 2020 to 2021. A surgical oncologist specializing in the management of soft tissue sarcomas, melanoma, and Merkel Cell carcinoma, Wong is among the most widely recognized health services researchers in the field of academic surgery—with more than 180 peer-reviewed studies in the scientific literature. Her current federally-funded research program focuses on integrating patient-reported outcomes into clinical practice. In addition to her officer roles at SUS, she holds or has held leadership positions in the American Society of Clinical Oncology, the American College of Surgeons, and the Society of Surgical Oncology. Wong is also an editorial board member of the Journal of the American College of Surgeons and the Journal of Surgical Oncology and is an associate editor for Annals of Surgical Oncology, Journal of Oncology Practice, and World Journal of Surgery.